Hello CGH readers! 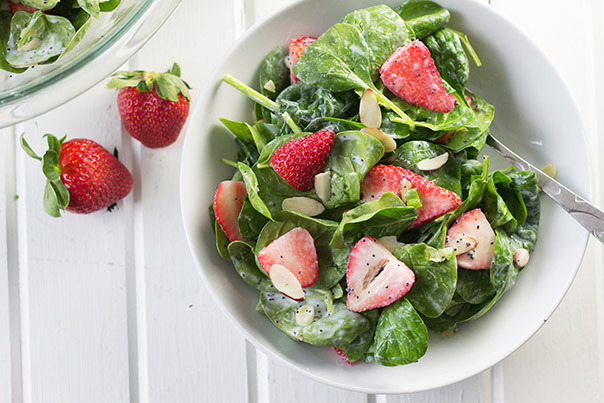 It’s Malinda from Countryside Cravings bringing you a Spinach Strawberry Salad with Creamy Poppy Seed Dressing. 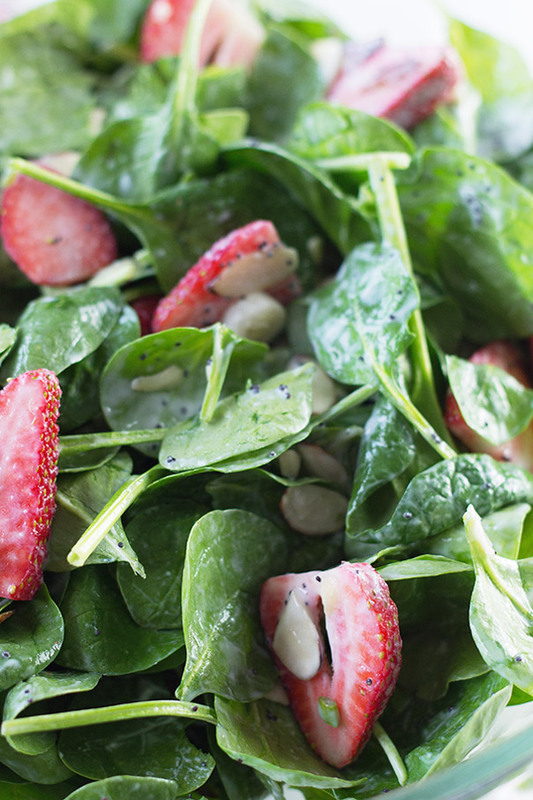 This is probably one of my favorite salads. 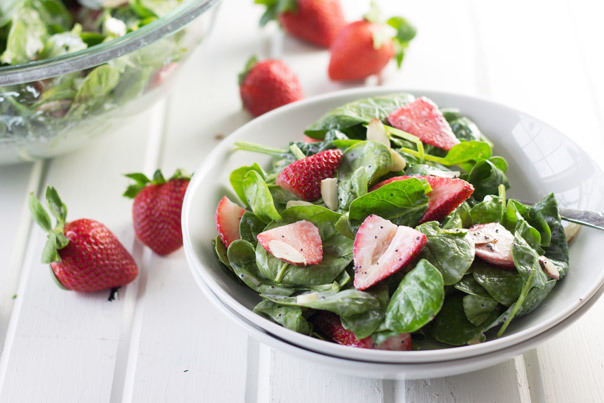 I love the combination of the sweet strawberries, the crisp tender spinach and the creamy and slightly tangy poppy seed dressing. The dressing isn’t overpowering which is the way it should be, just light and simple. 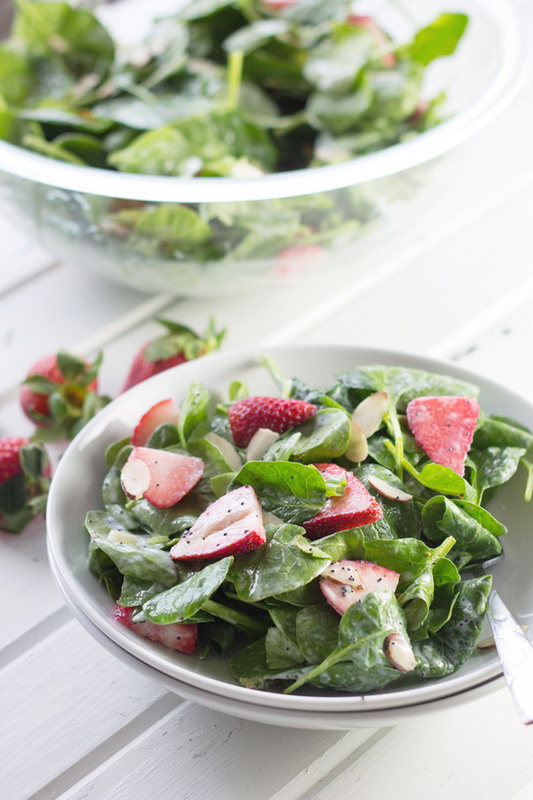 This salad is super simple to put together and the dressing is too. It is a perfect side dish for those busy and hectic days or for your upcoming Easter meal. Holiday cooking can sometimes be a little stressful and that’s why I always make sure I have some quick and easy recipes on the menu. That way I can spend more time with family and friends instead of in the kitchen. I promise this salad will not disappoint. Speaking of summer, is anyone else ready for it? I am! Well, I may not be ready for the triple digit weather but I am definitely ready for lots of sunshine and warmer days! My kiddos are too. They are getting cabin fever and are chomping at the bit to run around outside free from the extra layers I make them wear. SALAD: Place all salad ingredients in a large bowl. Set aside. DRESSING: In a small bowl combine all dressing ingredients and mix well. Pour over salad and toss lightly. Serve immediately.